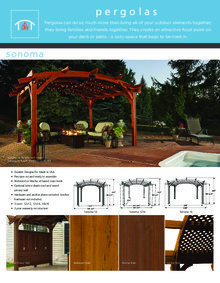 The “outdoor greatroom” came from the idea that homeowners should enjoy their outdoor space as much as their indoor living space and that the comforts of indoors were to be enjoyed outdoors. 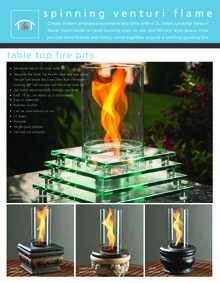 This idea has been the foundation of our company and our inspiration to provide innovative products to those who like to entertain and live outside. 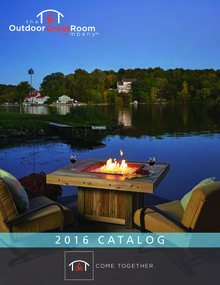 Download "Product Catalog • Pages 1-51"
Download "2016 Catalog pages 52-100"
Create your own custom fire pit, burner, or outdoor kitchen island built to order. 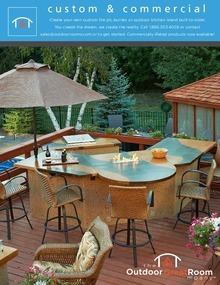 You create the dream, we create the reality. 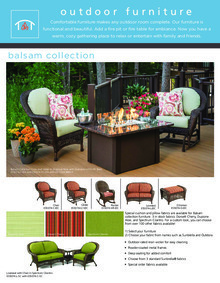 sales@outdoorrooms.com or to get started. 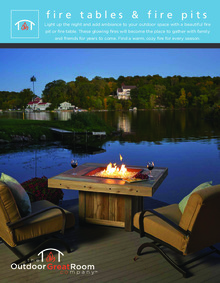 Download "Custom and Commercial Brochure"
Download "Fire Pit Brochure 2016"
No fire pit or fire table is complete without adding your own signature look. 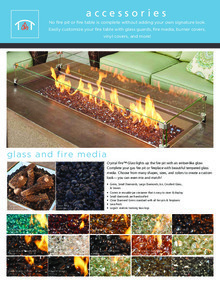 Easily customize your fire table with glass guards, fire media, burner covers, vinyl covers, and more. 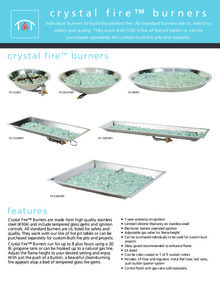 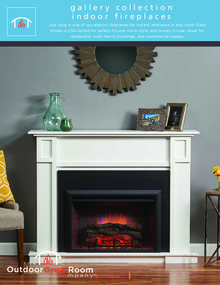 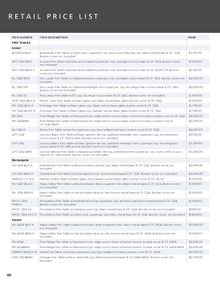 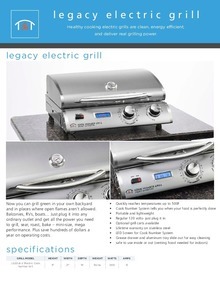 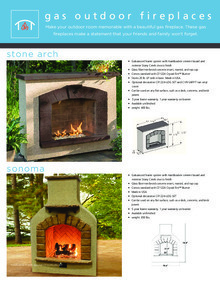 Download "Fire Pit Accessories Chart"
Download "Crystal Fire™ Burners Brochure"
Download "Gallery Collection Indoor Fireplaces Brochure"
Download "Legacy Electric Grill Brochure"
Download "Gas Outdoor Fireplace Brochure"
Download "Spinning Venturi Flame Brochure"